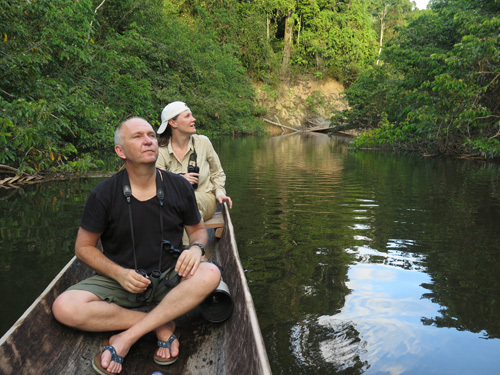 Back in August 2009 I spend a few days at Lore Lindu National Park, central Sulawesi, Indonesia. 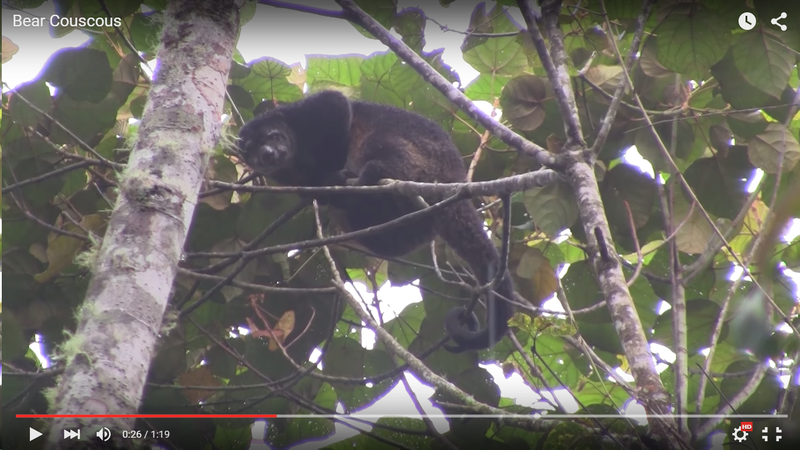 There, about halfway along the Anaso Track (1700 m. elevation) in rainforest I filmed this Bear Cuscus. When I received the Handbook of the Mammals Volume 5: Marsupials I found out they elevated the former subspecies furvus to specific level. Some info from HMW Volume 5: Montane forests at elevations of c. 800 m to at least 2000 m. The Mountain Bear Cuscus occurs in the same geographical regions as the Common Bear Cuscus but generally occurs in forests situated at higher elevations. The Common Bear Cuscus occuring to about 1000 m elevation. I had the chance to look for Common Bear Cuscus at Tankoko in north-east Sulawesi but didn’t do it because I had found this one. Turns out to be a different species, darn! That is, if you follow the HMW taxonomy. I saw a Bear Cuscus on the Anaso Track and not at Tangkoko as well! I’m not going to be splitting them though, even if I had seen both. By the way: couscous is food, cuscus is a possum. Of course… Thanks Israel, changed it! funnily enough, I was in Sulawesi in July/August 2009 (at Lore LIndu in July), so we were roaming around the island at the same time…. Thanks for posting this! 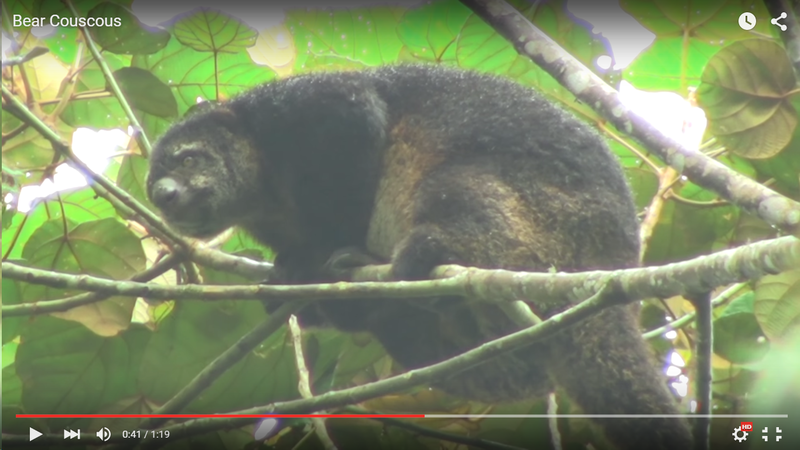 I saw Bear Cuscus near the top of the Anaso Track in 2011, as well as a few at Tangkoko. I also saw a Mount Topapu Squirrel there, and I’ve met one person who’s seen Mountain Anoa (Any thoughts on the taxonomy of the two Anoas? I only saw Lowland Anoa at Nantu).